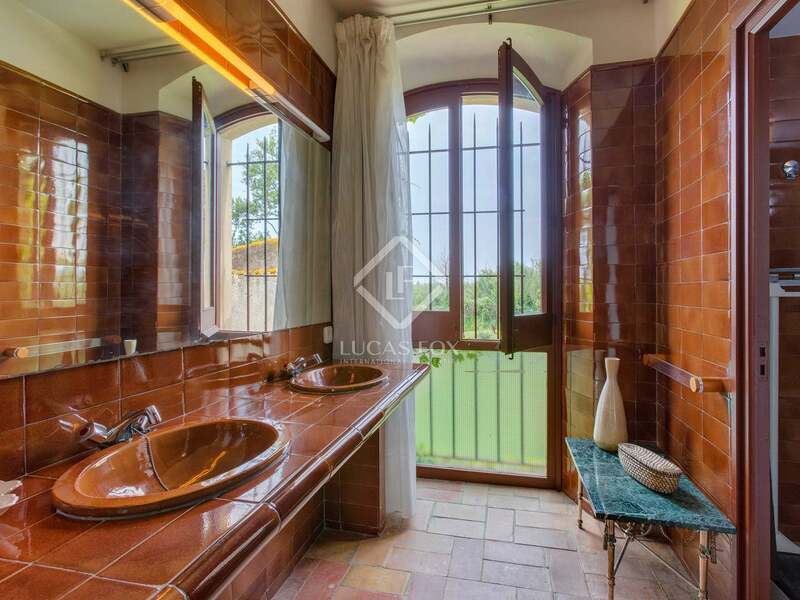 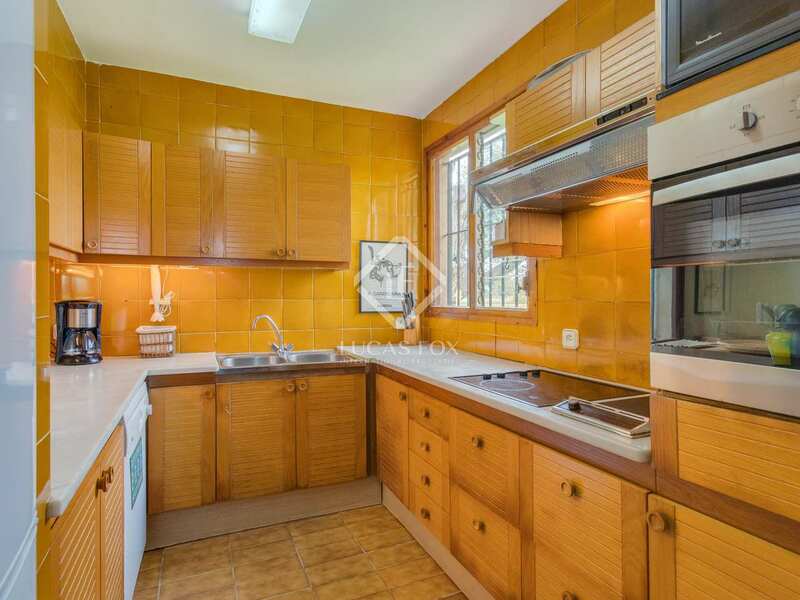 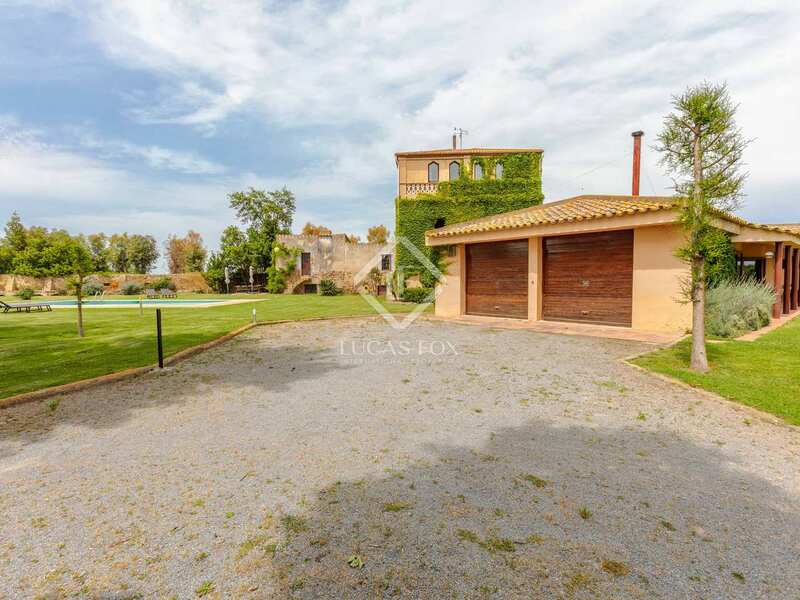 Historic property composed of 2 houses for sale on a large plot, 1km from the a golf course and 5km from the beach. 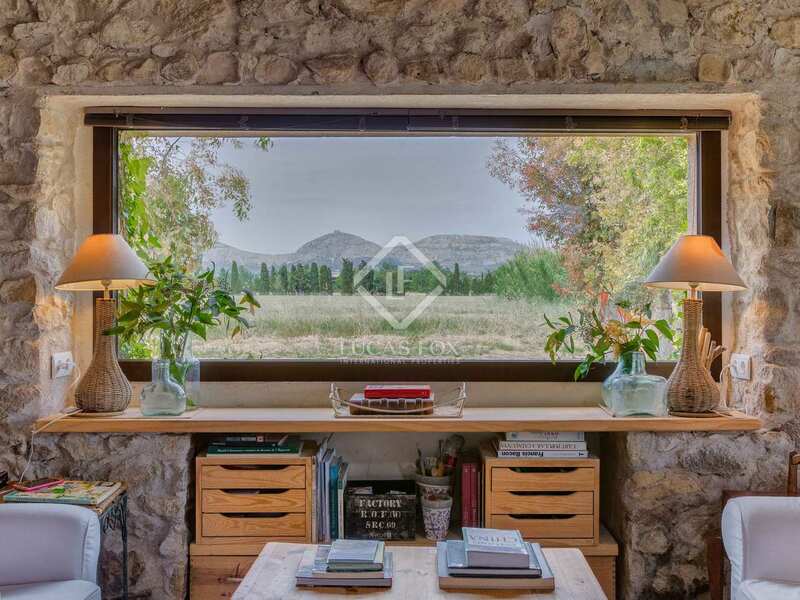 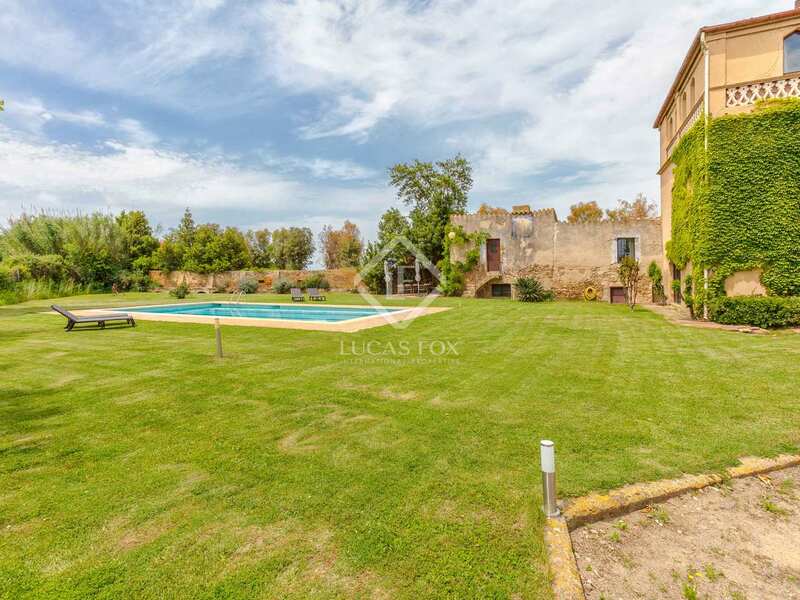 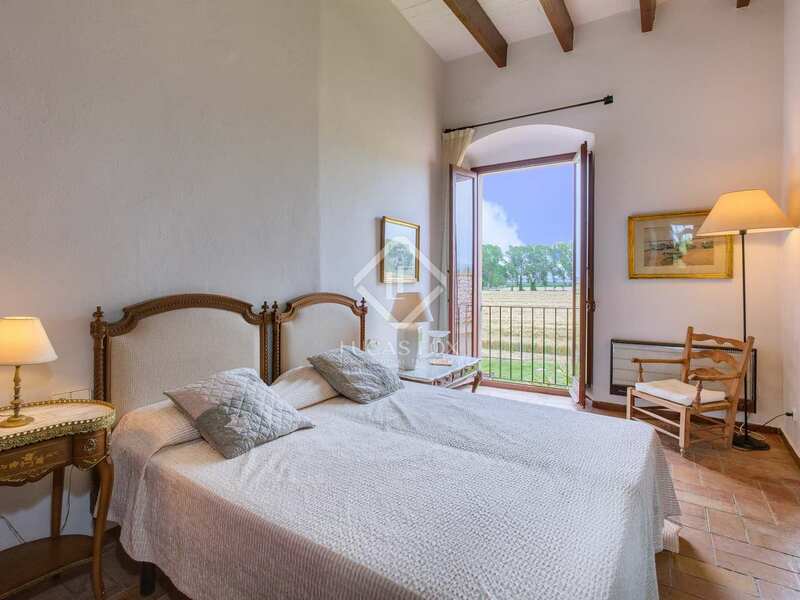 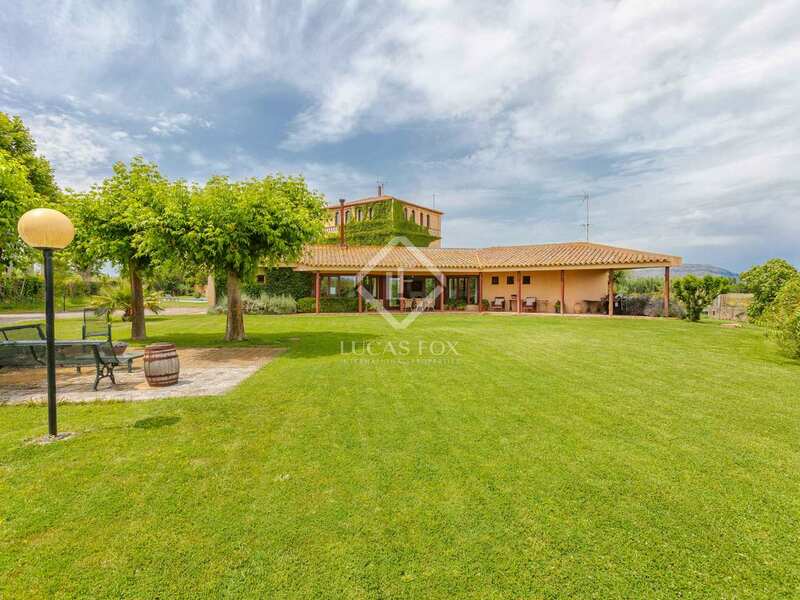 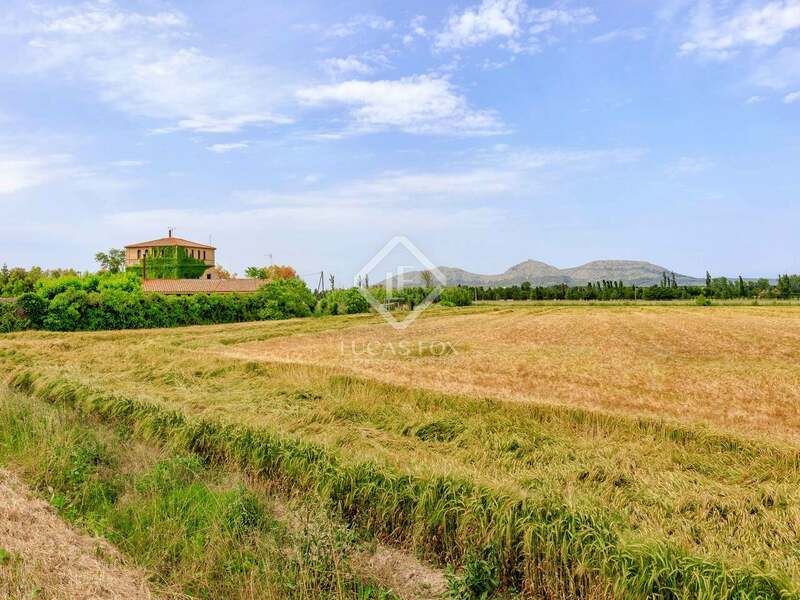 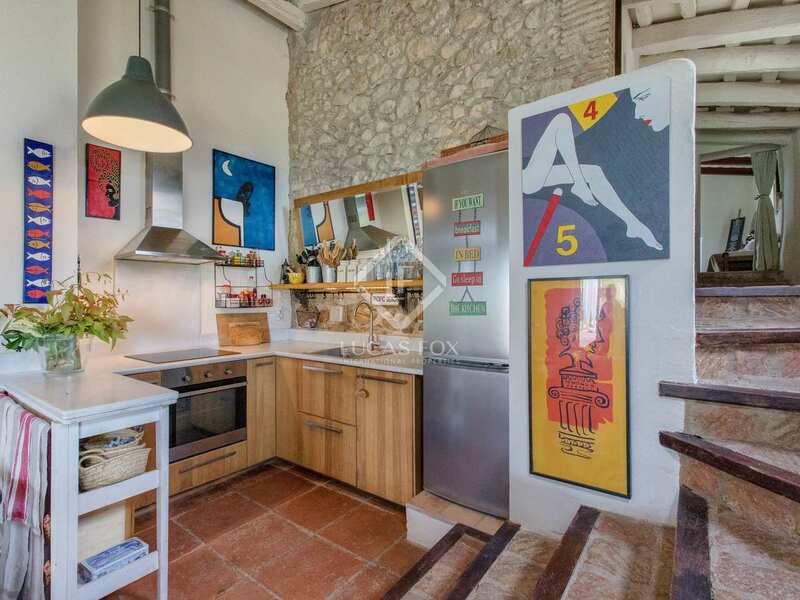 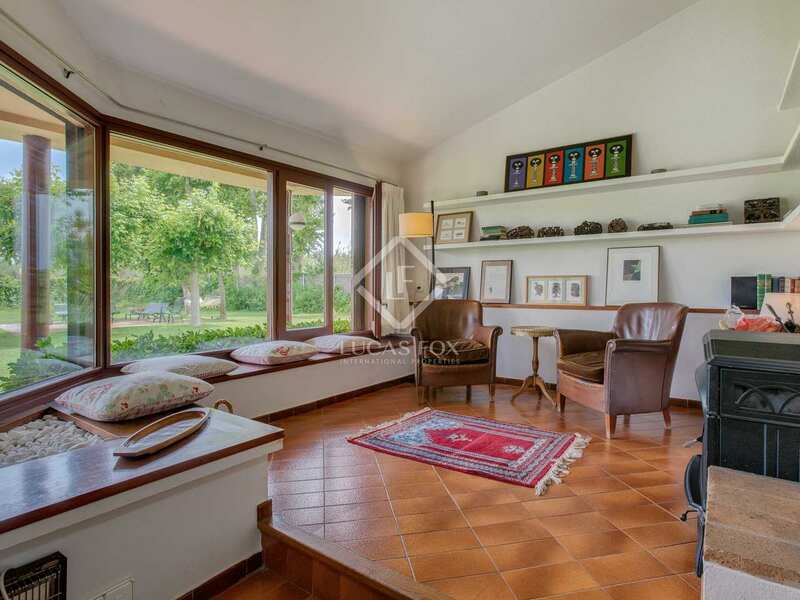 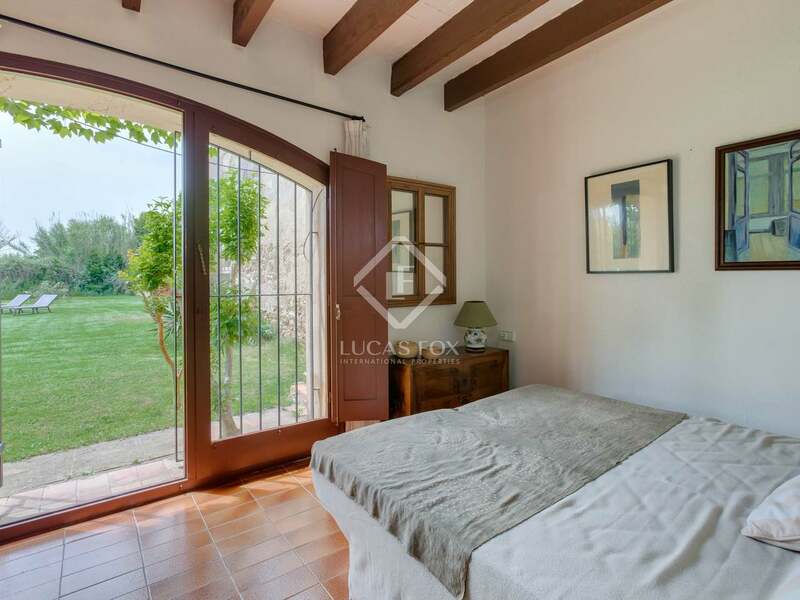 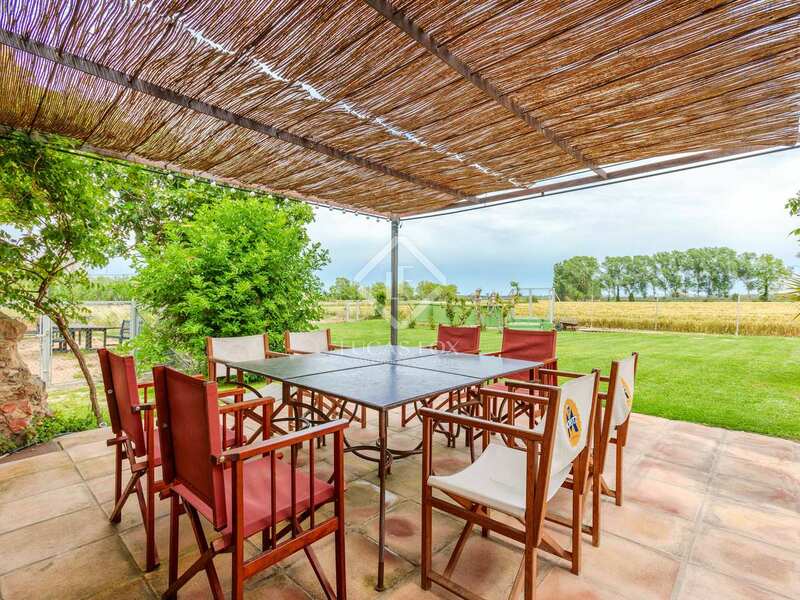 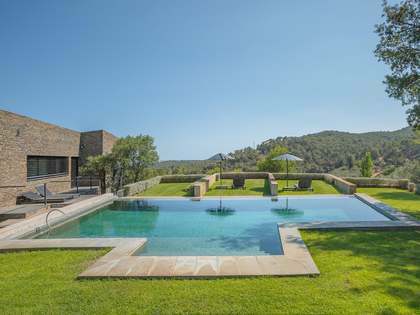 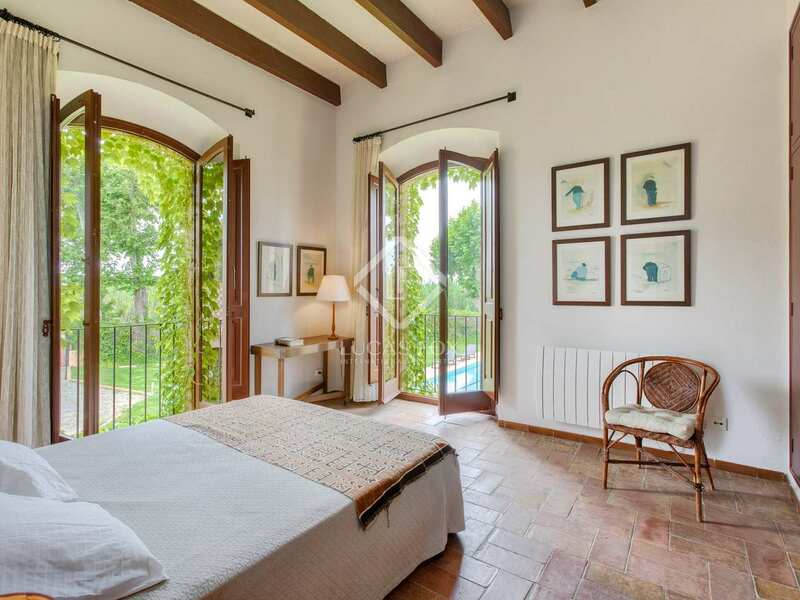 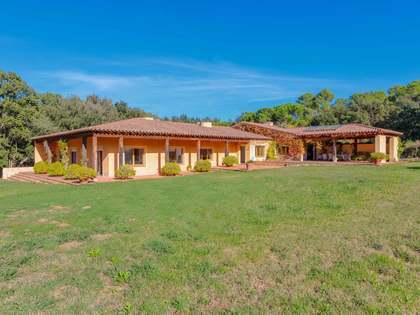 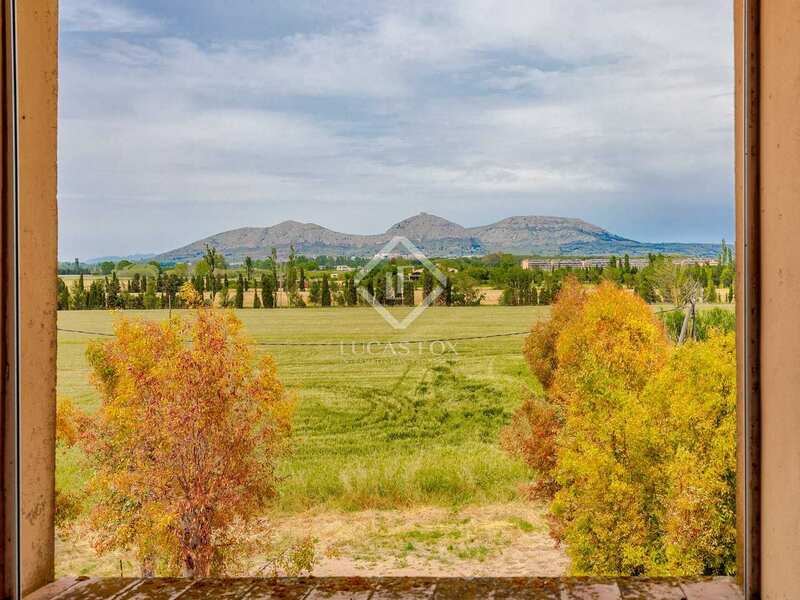 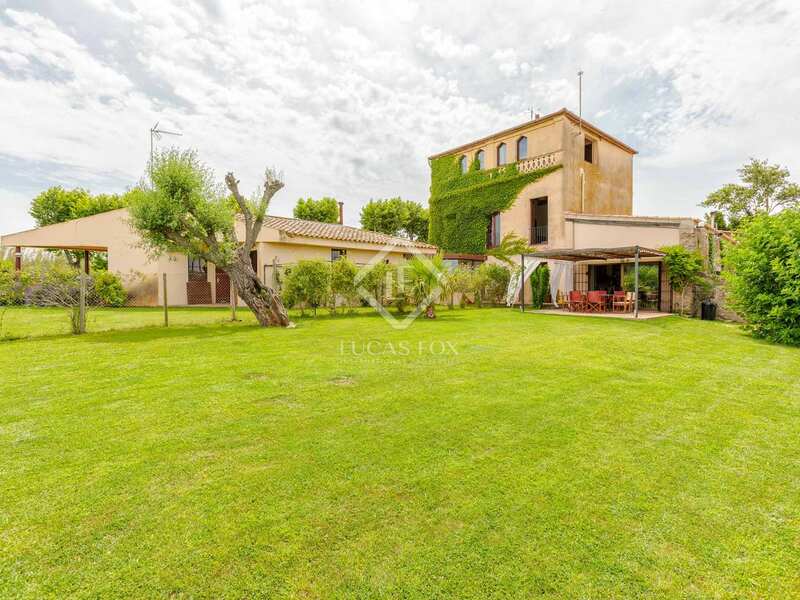 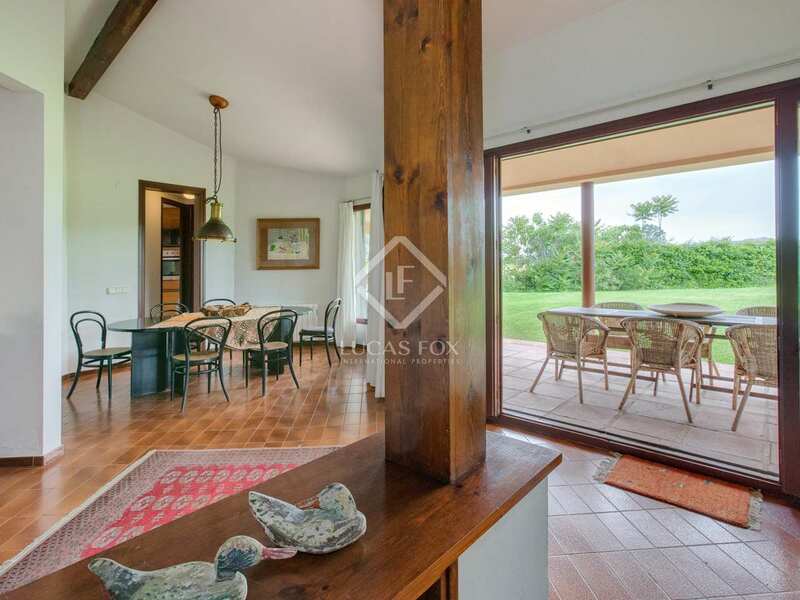 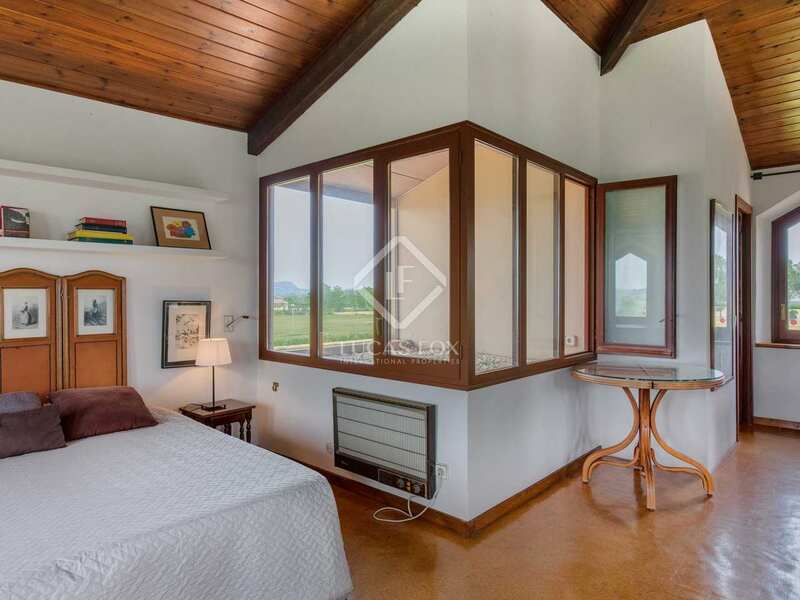 This large country house is composed of two separate dwellings with almost 4 hectares of completely flat fields, in the heart of the Empordà countryside. 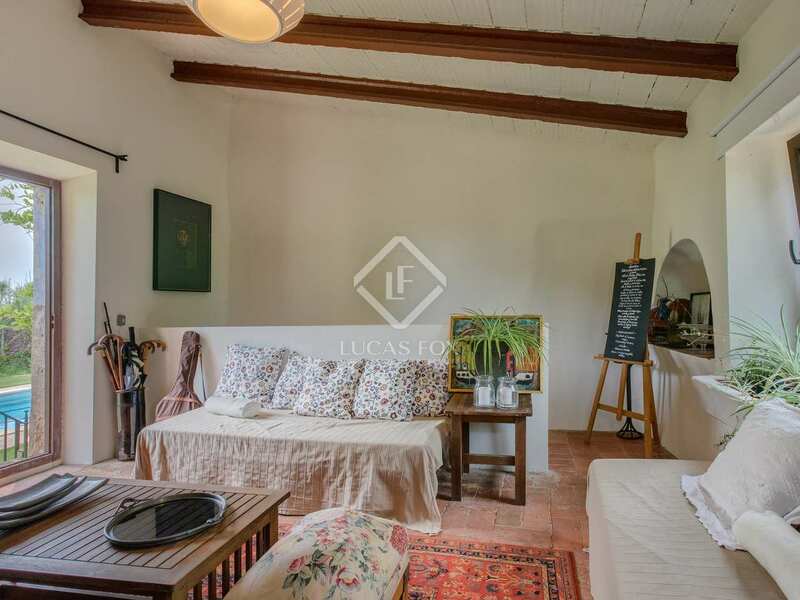 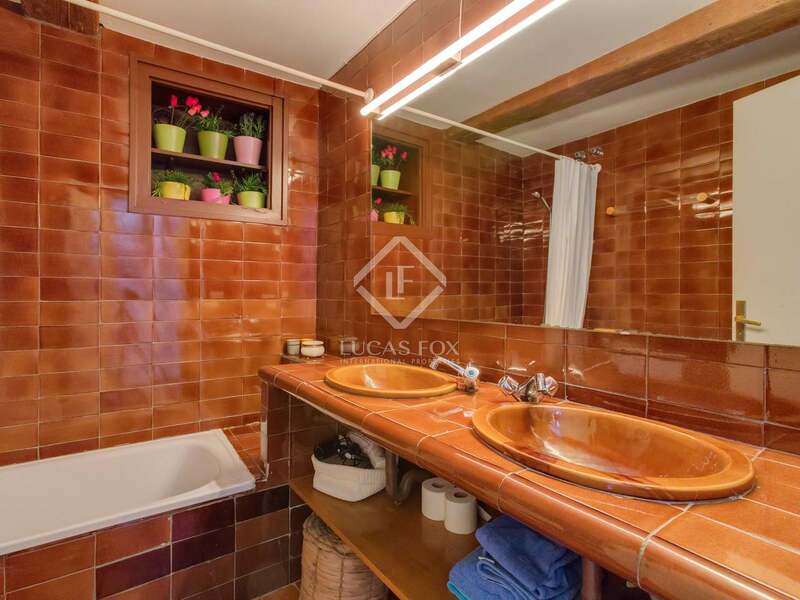 It is ideally located 5km from both the beach and the beautiful, lively villages of Pals and Torroella de Montgri with all amenities and excellent restaurants. 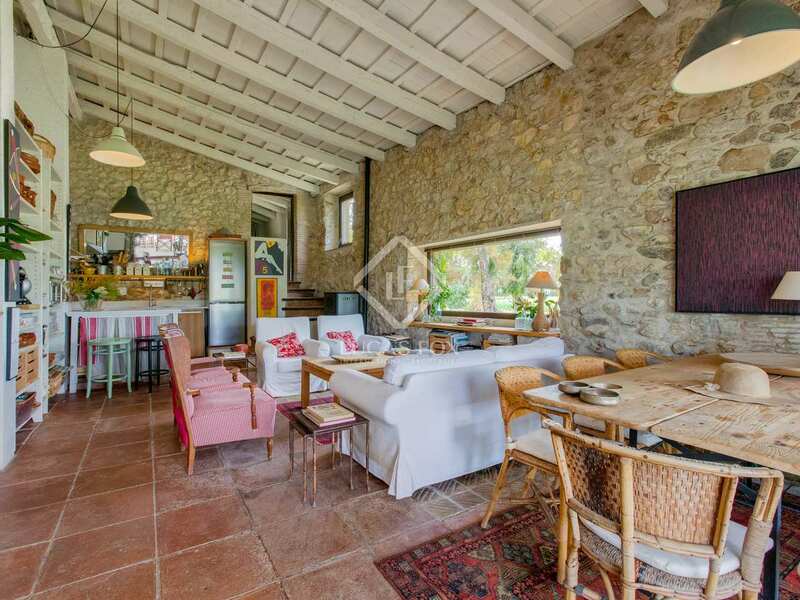 Originally a simple stone farmhouse, the property was extended with a 3-storey building towards the end of the 19th century and later, in the 1970s, an additional 1-storey building was added. 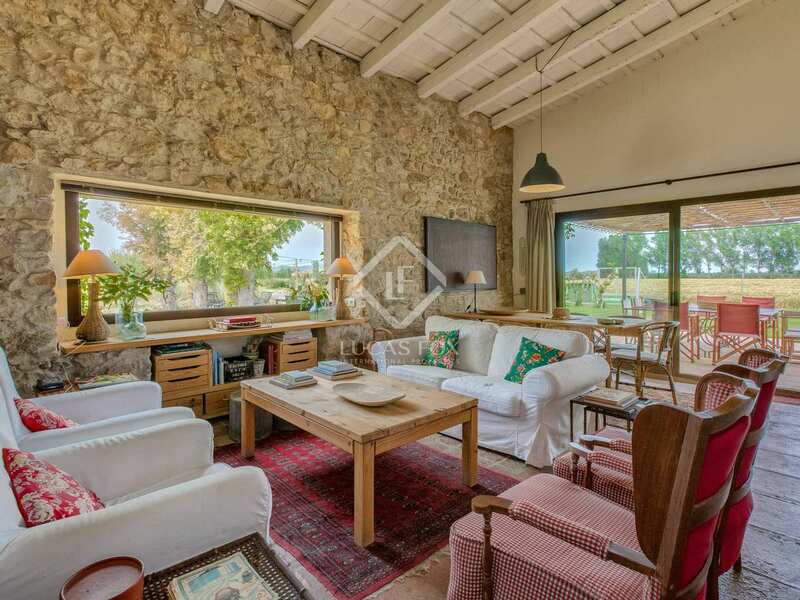 Starting with the stone farmhouse, on the ground floor there is a 60 m² open plan living- dining room and kitchen with a porch ideal for outdoor dining. 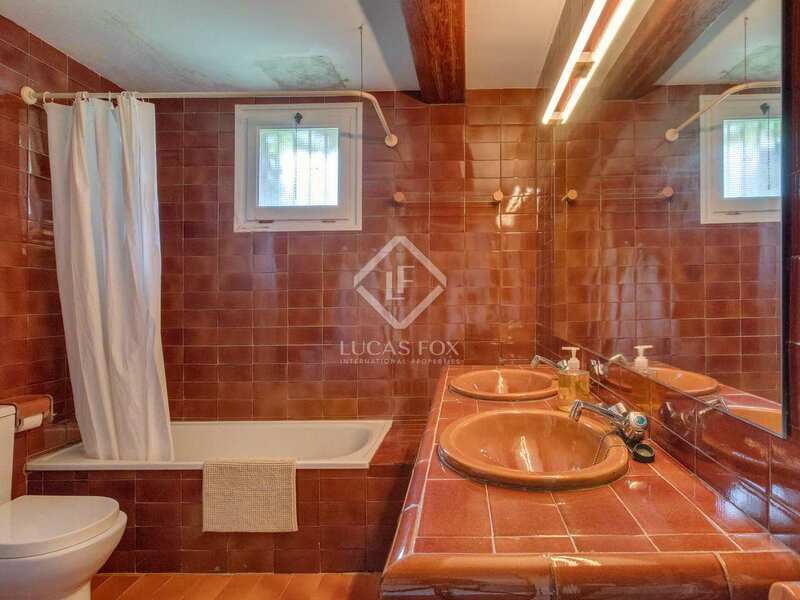 There are also 2 bedrooms, two bathrooms and a wine cellar. 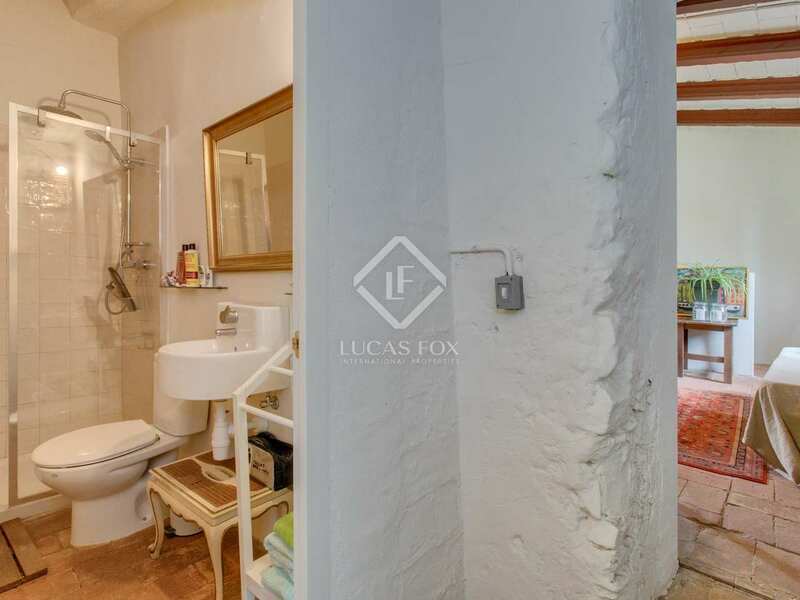 On the first floor there is a further bedroom and bathroom plus a study. 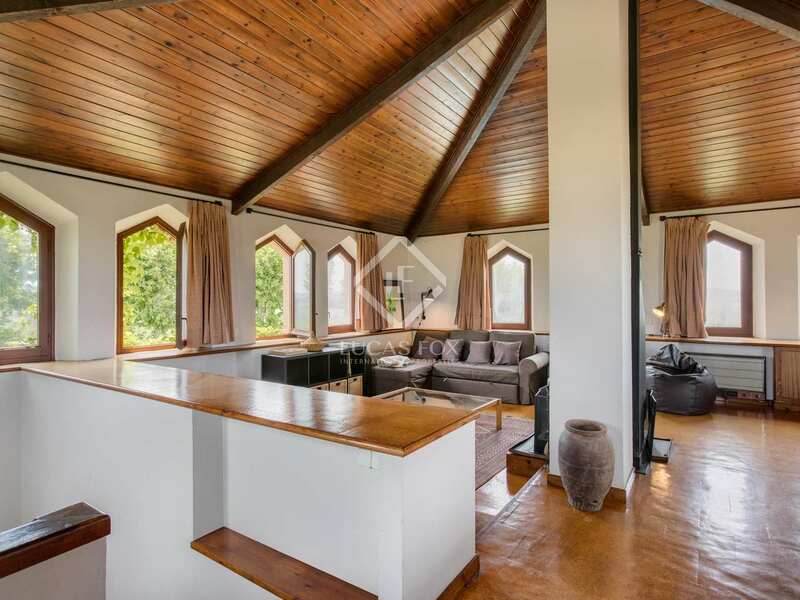 The second dwelling is distributed between the modernist tower and 1970s house. 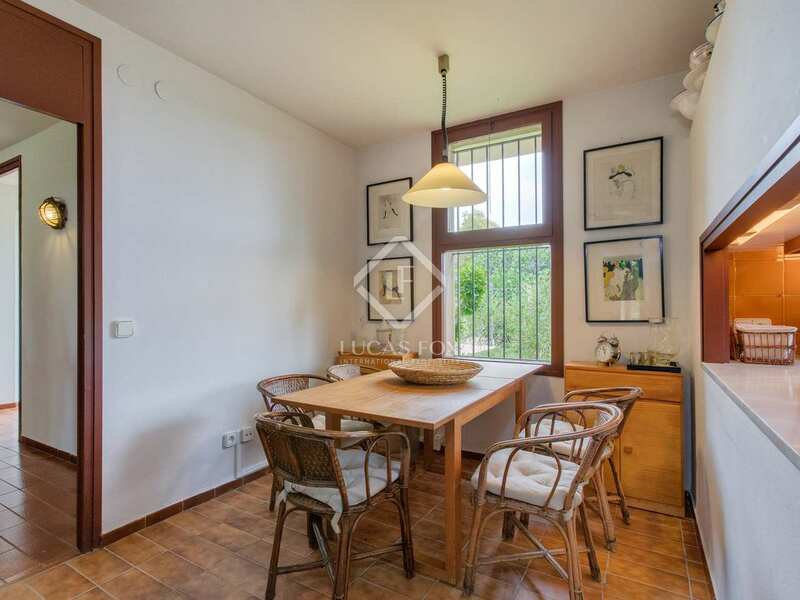 On the ground floor there is an open plan living-dining area with a kitchen and convenient breakfast area. 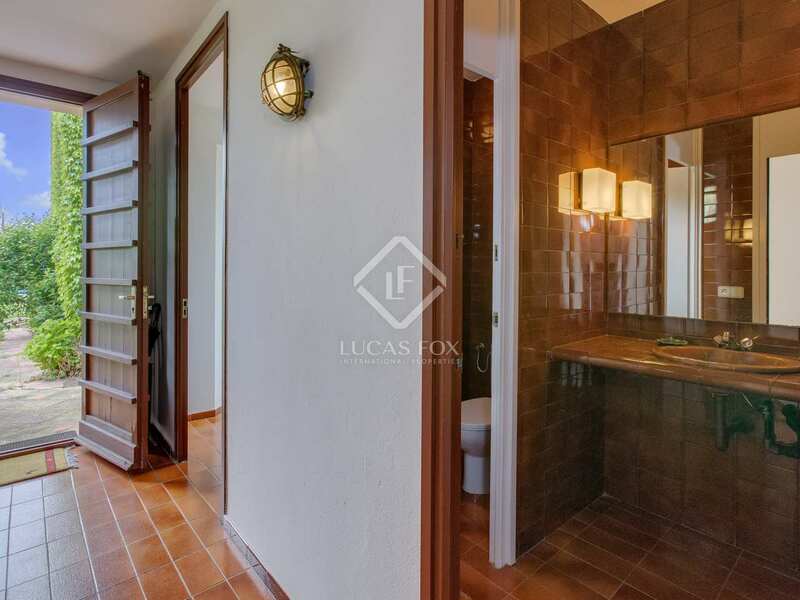 There is also a staff bedroom, a bathroom and a laundry room as well as a large garage. 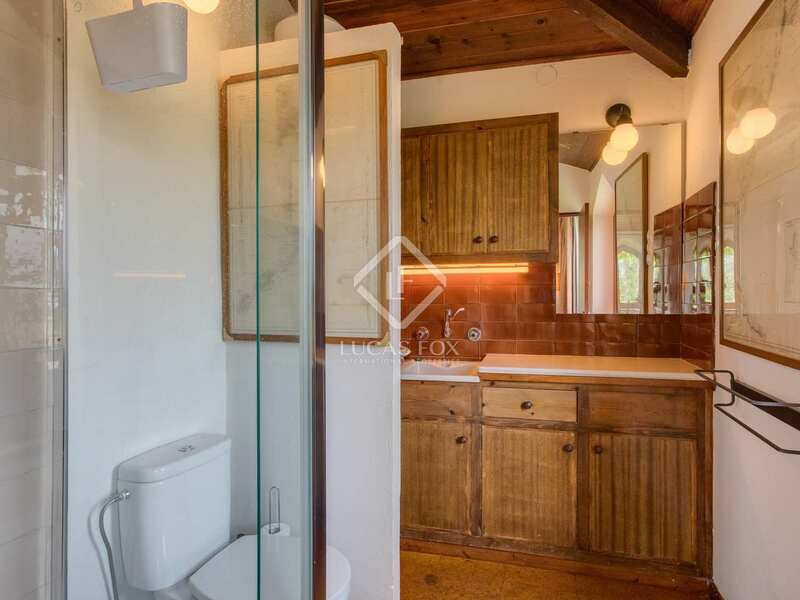 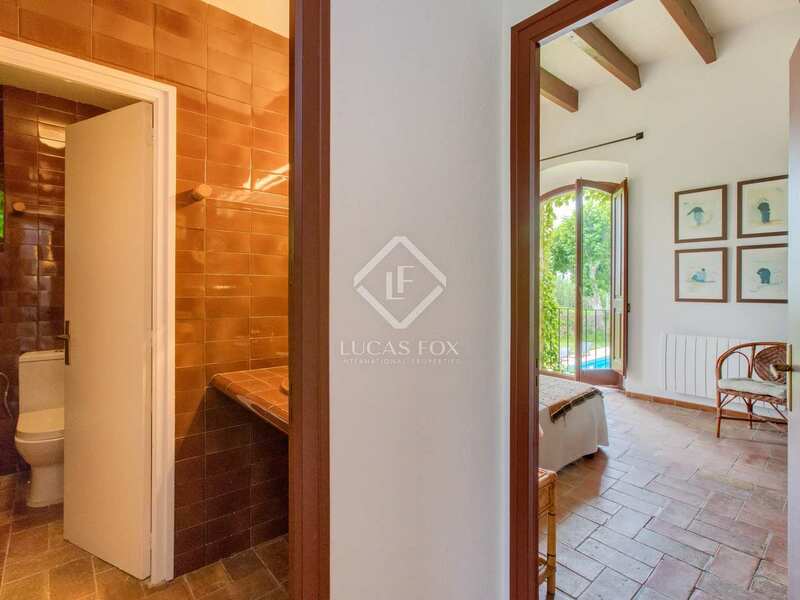 There are 2 bedrooms and 2 bathrooms on the first floor and on the second floor we find the 50m2 master bedroom with a fireplace, en-suite bathroom and lounge area. 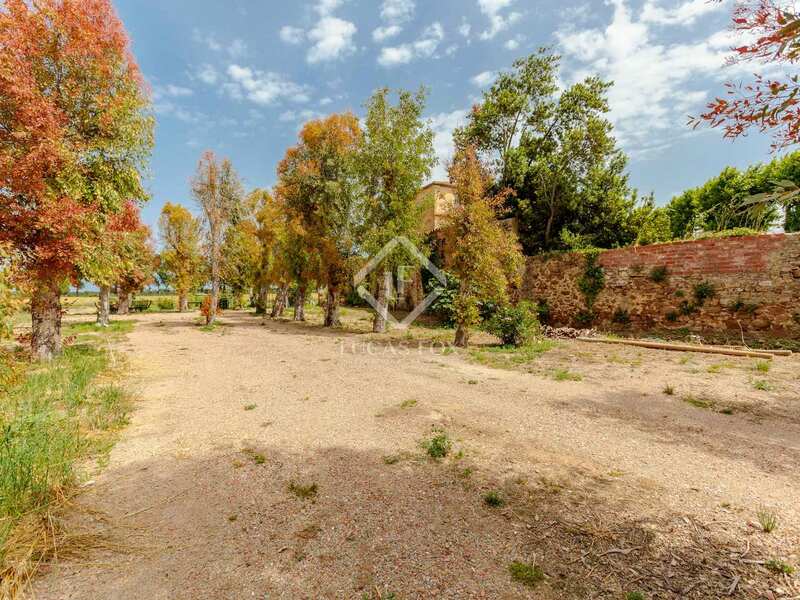 The property has excellent outdoor space. 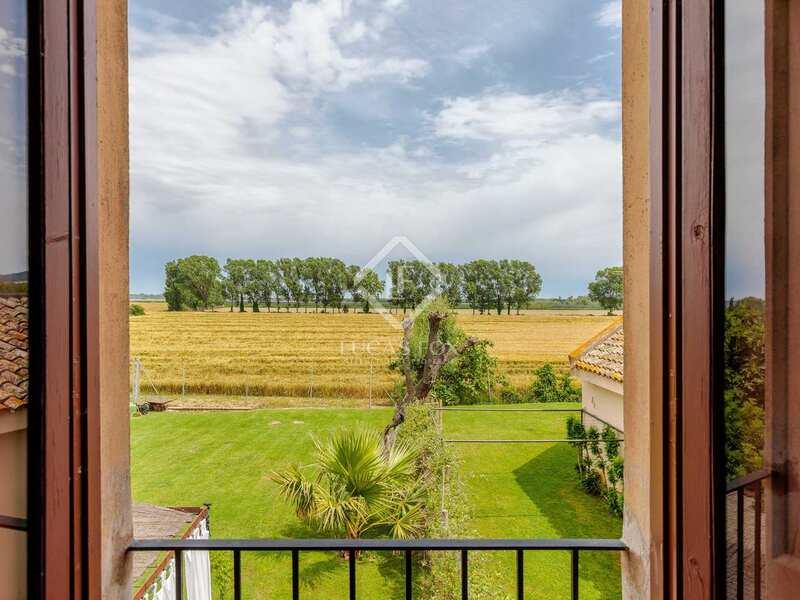 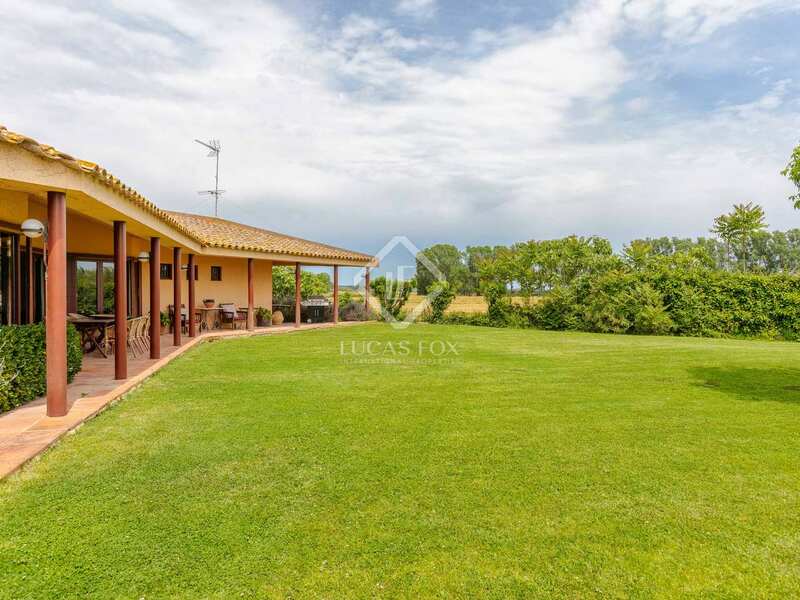 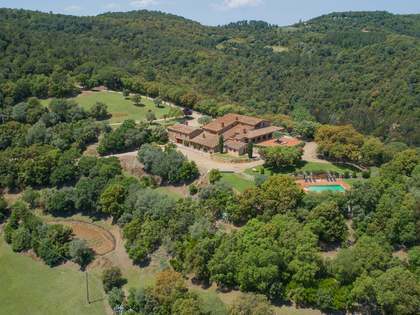 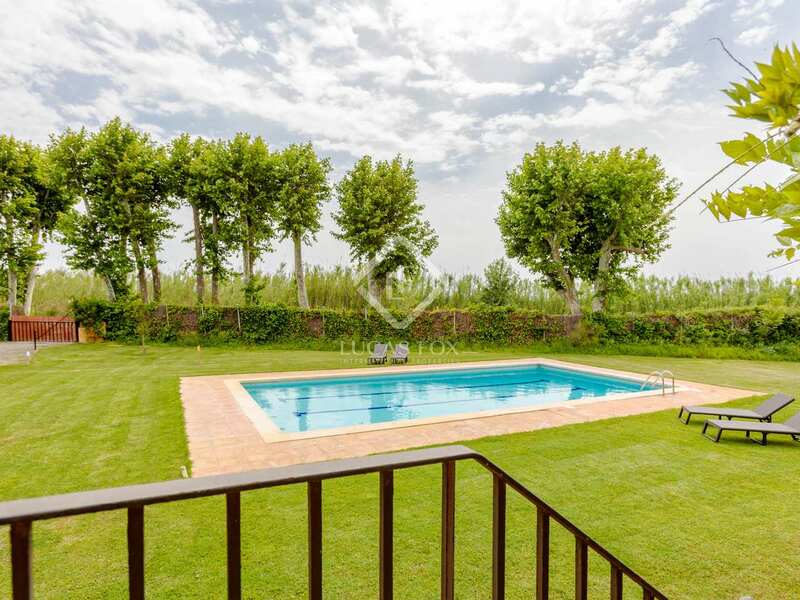 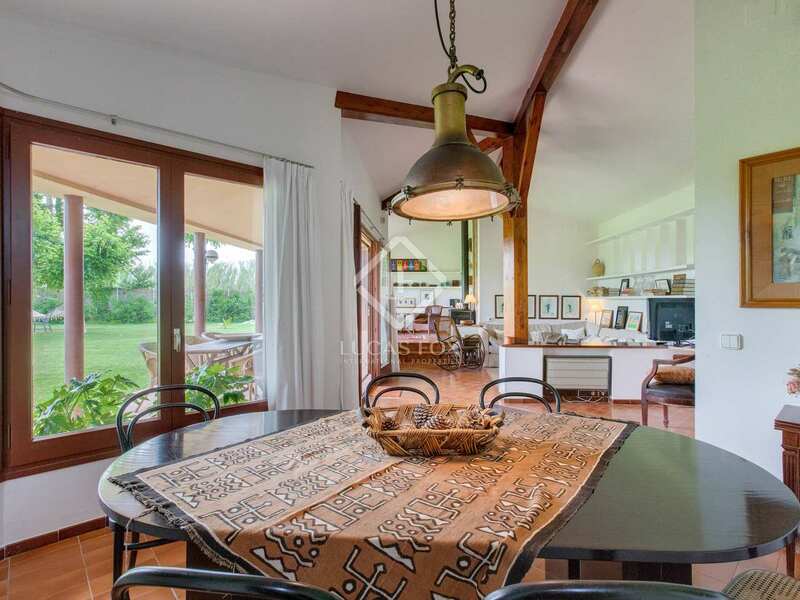 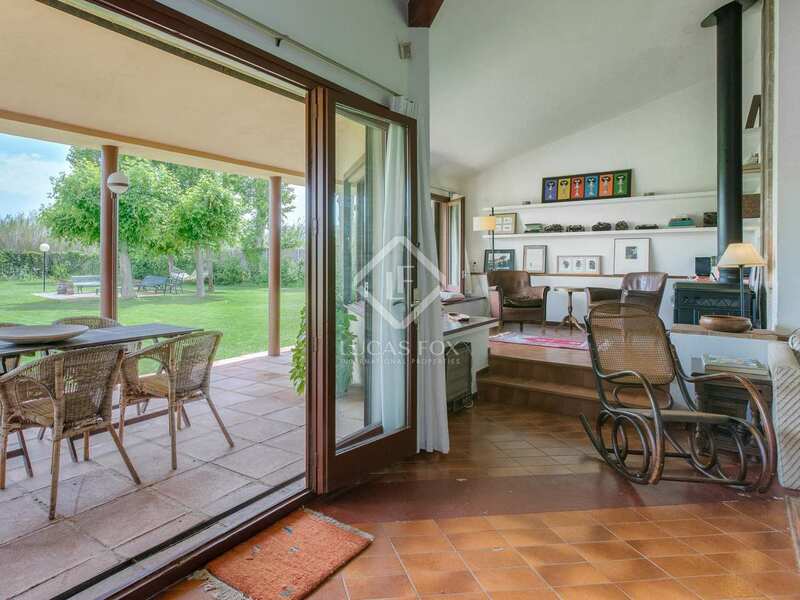 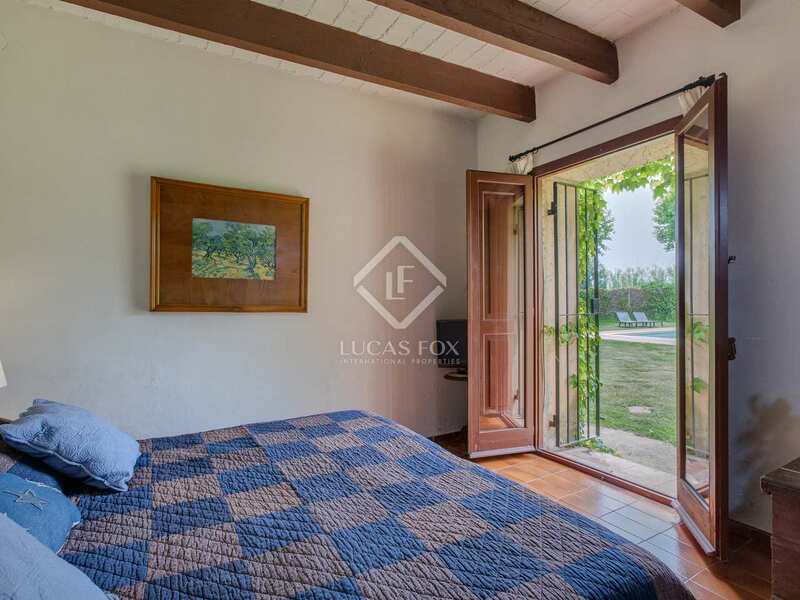 A 1,000m² fenced garden with a 12m x 6m swimming pool surrounds the houses, 3.5 hectares of cultivated land lies to the south-east of the property and around the back of the house is a 1670m² parking area shaded by eucalyptus trees. 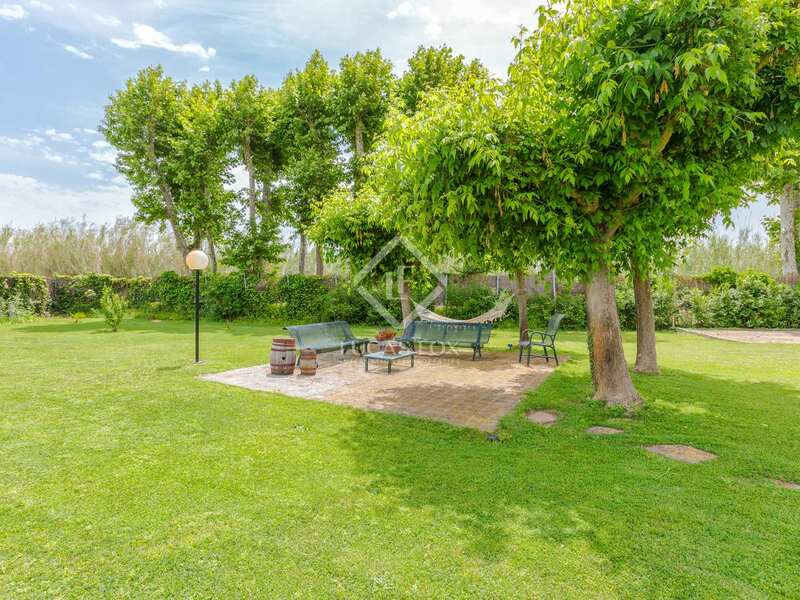 An ideal option for families seeking a spacious property with lots of privacy and excellent outdoor space. 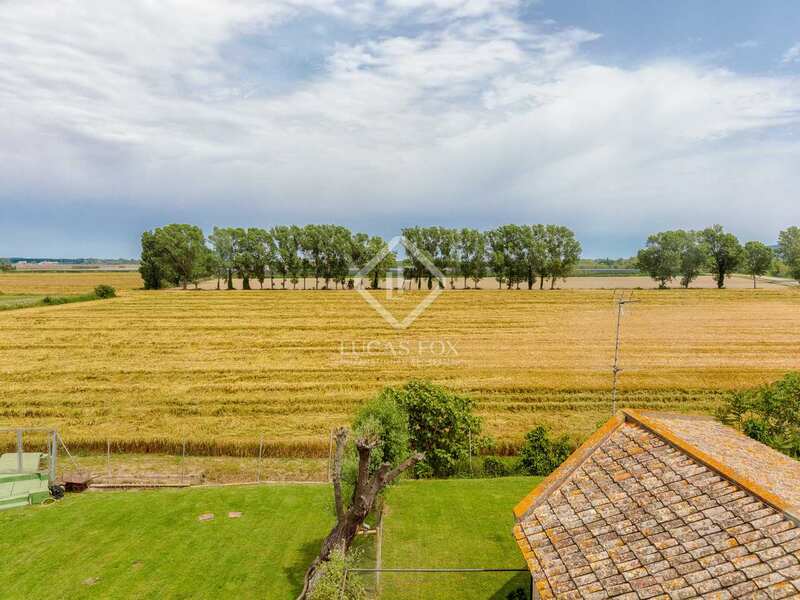 Also an exciting investment option given that one of the houses has a tourist rental licence and is currently used as a holiday let. 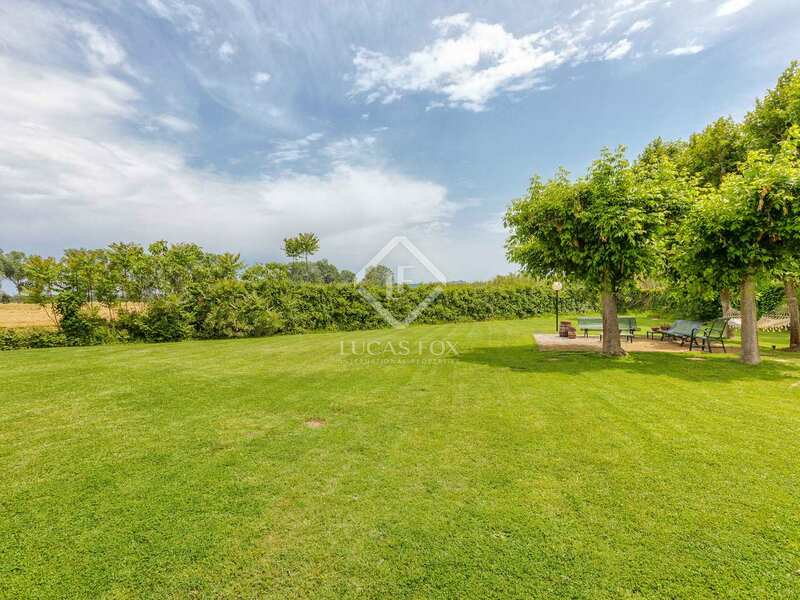 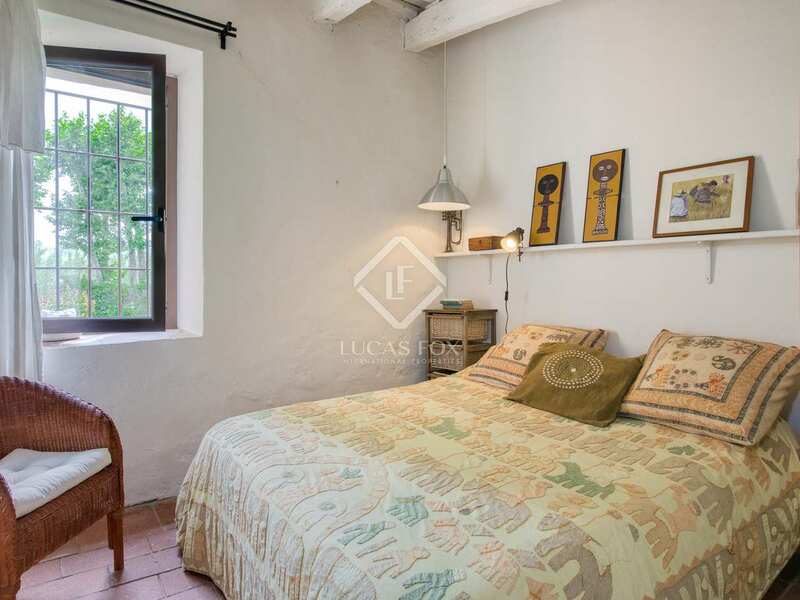 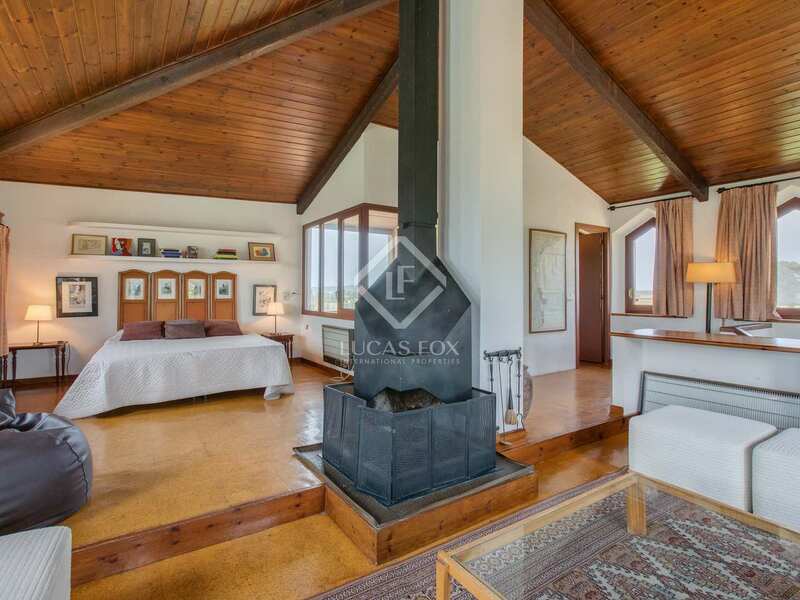 Property located in a peaceful setting close to the lively villages of Pals and Torroella de Montgri. 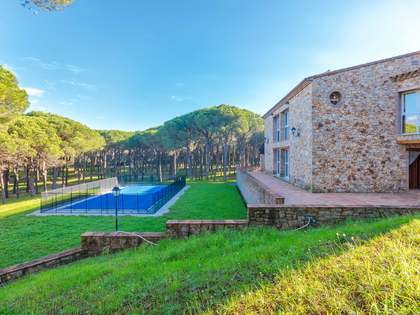 The golf course is 1km away and Pals beach is 5km from the property.